Hi Dan! How are you? Firstly I would like to ask you about the beginning of your carrier. What were some of the first influences you had and where did you start your music carrier? As a kid in the 1980’s, in the era of cassette tapes, I remember liking The Cars, ZZ Top, and The Eagles. The big turning point was when I got Genesis’ “Duke” album in 1991, and then Nursery Cryme and Foxtrot soon afterwards. Later I got into Yes, King Crimson, ELP, Jethro Tull, and Gentle Giant. 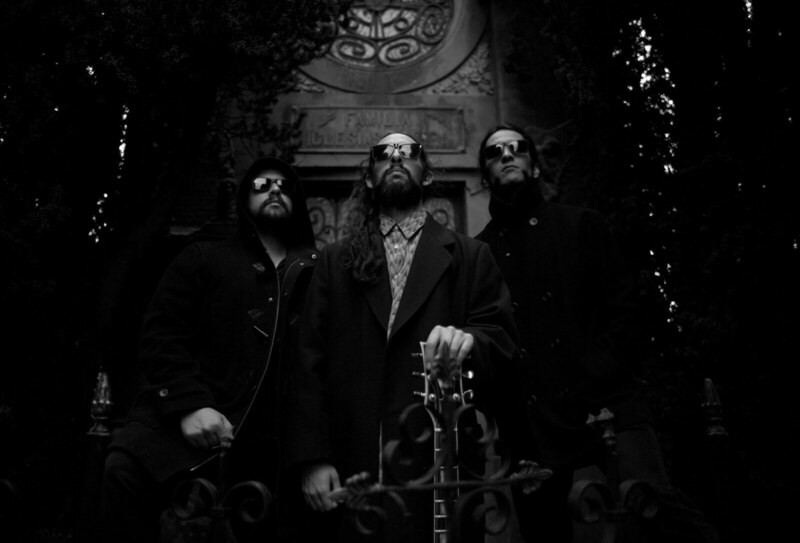 Another critical event was seeing a Magma concert in France in 1999, which was an incredibly powerful event. I played in a few bands during my high school and college years, but none of them amounted to much. Cerebus Effect was one of your first bands. You released three albums; the first one is called Dark Matter from 2002, then you released Live at Orion in 2003 and the last one is called Acts of Deception. It’s really fast and quirky fusion kind of music. Would you like to share your experience you had with this band? I only played on the last one, Acts of Deception. Cerebus Effect was a trio for many years before I joined them, and I think their style wasn’t very complementary with my own. The bassist and guitars/keyboardist would play based around an agreed-upon rhythm, but the notes, chords, and melodies were rarely discussed. So that led to some interesting and “avant-garde” chords because neither the bassist nor the guitarist ever really knew what the other guy was playing. As long as there are only two melodic instruments, the resulting dissonance won’t be sloppy, but when I joined, there were now three melodic instruments (four if you count my left hand and right hand), and so we had to discuss and decide who would play what. It became clear that the other members didn’t like discussing what to play; each guy wanted to just decide for himself. That formula worked ok for their first two releases, but it didn’t work as well after I joined. 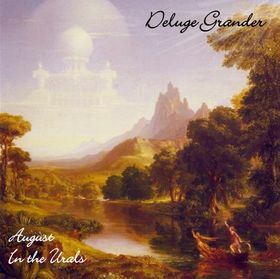 Deluge Grander started around 2005 and soon after in 2006 you released August in the Urals. The music on this album flows so well. It’s absolutely an amazing album. 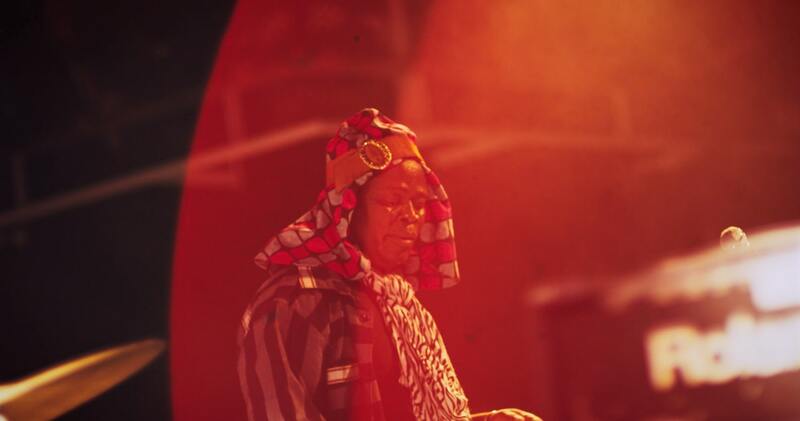 Would you mind telling me how did you form the Deluge Grander and of course I’m very interested in what can you tell me about recording and producing this album. I have to say that I also dig cover artwork very much and would like to ask if you can tell me more about it? Well thanks! We made most of this album after I had finished school and was looking for a job. It took about a year for me to find one, and my parents were giving me a few hundred dollars a month to live on. So I had plenty of spare time, but not a lot of money. I was just learning about recording, sonics, and production (rather than time signatures, notes, and chords, which I already knew about), and I didn’t record most of the keyboard parts with very professional equipment. I used some mellotron samples, which I imported into the song files one note at a time. I had also found an old Univox analog synthesizer from the 1970’s just sitting outside my apartment building, covered in snow. So I had a lot of fun playing around with those sounds. Since I wasn’t in school and didn’t have a job, I had no real routine, so sometimes I would stay up very late and sleep all day, eventually getting into a 26-hour cycle rather than the usual 24-hour cycle. I think this detached me from the world in a strange way, and it probably wasn’t very healthy. But it was a nice experience that might have affected the album too. The cover artwork is by Thomas Cole, who was a 19th-century American artist, so it’s in the public domain and free for anyone to use. Unfortunately, after the album came out, I found out that the same painting (or a very similar version of it) was used by Candlemass for their Ancient Dreams album. 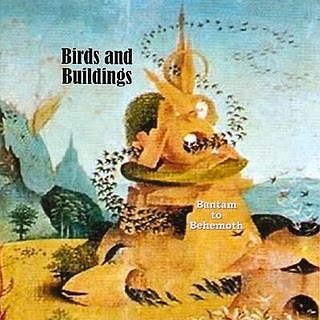 Birds and Buildings is another amazing project, which released an album in 2008 called Bantam to Behemoth. This one is a very tight recording. I have to say, I really admire your playing on this album. I would like to know how did you decide to start Birds and Buildings and what can you tell me about making Bantam to Behemoth. Thanks, again. After the first Deluge Grander album came out, I was eager to make another one, but the other guys in the band wanted to take a break. Since I had moved from Baltimore to Washington, DC, I looked around for a drummer there. I found Malcolm McDuffie pretty quickly. 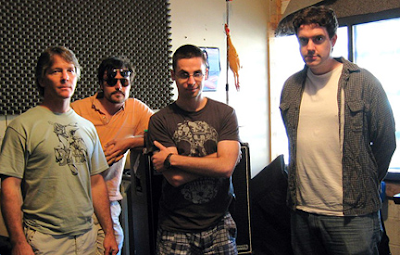 We went through a few bassists and guitarists before settling on a sax player, Brian Falkowski. Both these guys are extremely competent and creative musicians. We rehearsed and performed the first three and last three songs on “Bantam to Behemoth” prior to recording them. The middle three songs, which we called the “acoustic” songs because I had written most of them on acoustic guitar, took form during the recording process. I remember feeling very excited about this album during the last few months I was working on it. 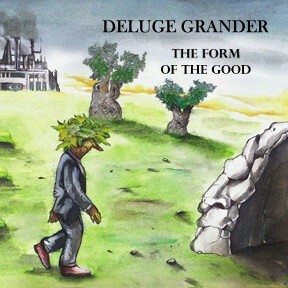 The album “The Form of the Good” tries to illuminate a worldview through music, song titles, and artwork. It’s about human history, technological progress, and political disagreements. Of course, without song lyrics, it’s hard to really espouse or explain anything in detail, so maybe the ideas aren’t as clear to a listener as they are to me, but I think an intelligent person who listened to the album and looked at all the artwork and song titles would be able to find some meaning in it all. All Over Everywhere is another project you did a good year ago. 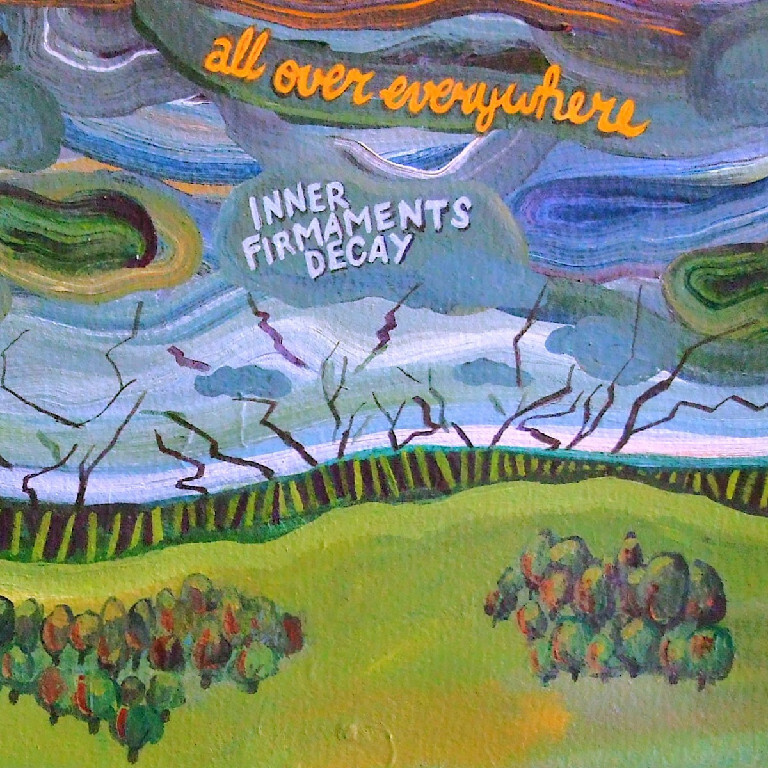 You released album called Inner Firmaments Decay. This time your style is very different. What can you tell me about it? Like any composer, I come up with lots of little musical ideas. Some of them were a bit quieter and maybe more conventional than the progressive rock I had done before. I thought it would make sense to put some of them together on one cohesive album. Trinna Kesner also helped out with a lot of the writing and production of this album. I’m proud of it, especially the song “Gratitude,” but I think some people were expecting something closer to what I did in the past, and I know many people disliked the reverb and quieter vocals. You are also owner of Emkog Records. Would you like telling me how did it all started as a record label and what are some future plans for Emkog? Will you be releasing any vinyl releases, cos that would be really great! 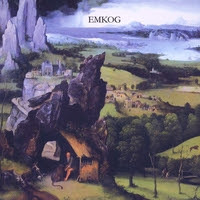 The “record label” Emkog is just a meaningless word to put on CDs. I wanted to release the first Deluge Grander album on my own because I didn’t think any label, even the smaller ones, would be interested in it. I was pretty content with the results of this experiment, so I guess the Emkog label will be my home for a while. I don’t think being on a bigger label would benefit me or the bands very much at all, but I’m not sure. 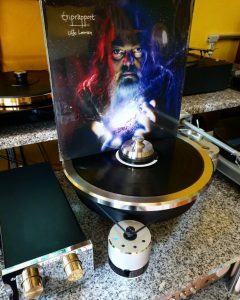 Even though a few of the albums I’ve been involved with seem to have gotten some attention in the world of “prog,” no label has ever asked me to release an album with them. Actually I’m hoping we can record the next Deluge Grander album analog and release it in a vinyl/CD combination package with fairly elaborate handmade artwork for each copy. We might also release the next Birds and Buildings album “Multipurpose Trap” on vinyl. Birds and Buildings is preparing something new. Would you like to tell us more about that? That album (“Multipurpose Trap”) has been taking a long time for many reasons, most of which are my own fault. It’s hard to believe: in January of 2009 and 2010, I was almost positive that it would be released by the end of the year, yet here we are in the middle of 2011, and I’m still working on it. But progress is being made. I’m generally pretty happy with it so far, but I’m skeptical how well it will be received. Overall, it’s probably slightly less intense than the first album, with more jazz. But at least three of the nine songs, in my opinion, have the potential to be really great. I have another question that would be about cover artwork…I would love if you could tell us who is doing covers for your releases and if you can present what are representing and what do names of your bands represent/how did you choose them. As mentioned before, the cover of Deluge Grander’s “August in the Urals” is by Thomas Cole. 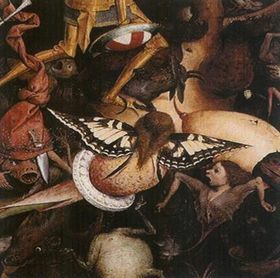 Birds and Buildings’ “Bantam to Behemoth” cover is a portion of a Hieronymus Bosch painting. I have a regular 40-hours-a-week job, as do most of the musicians I play with, so touring isn’t really possible, and even if it were, it’s unlikely we’d be able to do so without losing a lot of money. Most people don’t pay for music anymore. Thank you for taking your time, Dan. Would you like to add something else? Thanks for the interview! I hope my answers are clear and interesting!